From the Archive: An article from the first investigative series published at Consortiumnews in early 1996 revealed top-secret “talking points” used by Secretary of State Haig in 1981 to brief President Reagan about the Middle East, including an alleged U.S. “green light” for Iraq to invade Iran. 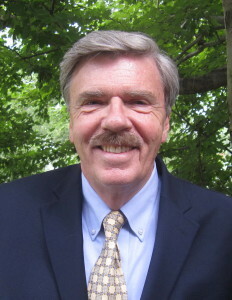 Journalist Robert Parry found the document in old congressional files. In summer 1980, Iraq’s wily president Saddam Hussein saw opportunities in the chaos sweeping the Persian Gulf. Iran’s Islamic revolution had terrified the Saudi princes and other Arab royalty who feared uprisings against their own corrupt life styles. Saddam’s help was sought, too, by CIA-backed Iranian exiles who wanted a base to challenge the fundamentalist regime of Ayatollah Ruhollah Khomeini. And as always, the Western powers were worried about the Middle East oil fields. 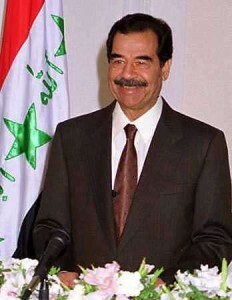 So because of geography and his formidable Soviet-supplied army, Saddam was suddenly a popular fellow. On Aug. 5, 1980, the Saudi rulers welcomed Saddam to Riyadh for his first state visit to Saudi Arabia, the first for any Iraqi president. The Saudis, of course, wanted something. At those fateful meetings, amid the luxury of the ornate palaces, the Saudis would encourage Saddam to invade Iran. The Saudis also would claim to pass on a secret message about President Jimmy Carter’s geo-political desires. During that summer of 1980, President Carter was facing his own crisis. His failure to free 52 American hostages held in Iran was threatening his political survival. 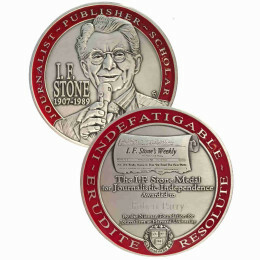 As he wrote in his memoirs, Keeping Faith, “The election might also be riding on their freedom.” Equally alarming, President Carter had begun receiving reports that the Republicans were making back-channel contacts with Iran about the hostage crisis, as he would state in a letter to a journalist nearly a decade later. Though it was unclear then, this multi-sided political intrigue would shape the history from 1980 to the present day. Iraq’s invasion of Iran in September 1980 would deteriorate into eight years of bloody trench warfare that did little more than kill and maim an estimated one million people. What little more the war did was to generate billions of dollars in profits for well-connected arms merchants — and spawn a series of national security scandals. In 1986-87, the Iran-Contra Affair peeled back some of the layers of secrecy, but bipartisan investigations dumped the blame mostly on White House aide Oliver North and a few low-level “men of zeal.” Later inquiries into Iraqgate allegations of secret U.S. military support for Saddam Hussein also ended inconclusively. The missing billions from the sleazy Bank of Credit and Commerce International disappeared into the mist of complex charge and counter-charge, too. So did evidence implicating the CIA and Nicaraguan Contra rebels in cocaine trafficking. A similar fate befell the October Surprise story and President Carter’s old suspicion of Republican interference in the 1980 hostage crisis. A special House task force concluded in 1993 that it could find “no credible evidence” to support the October Surprise charges. Still, I gained access to documents from that investigation, including papers marked “secret” and “top secret” which apparently had been left behind by accident in a remote Capitol Hill storage room. Those papers filled in a number of the era’s missing pieces and established that there was more to the reports that President Carter heard in 1980 than the task force publicly acknowledged. 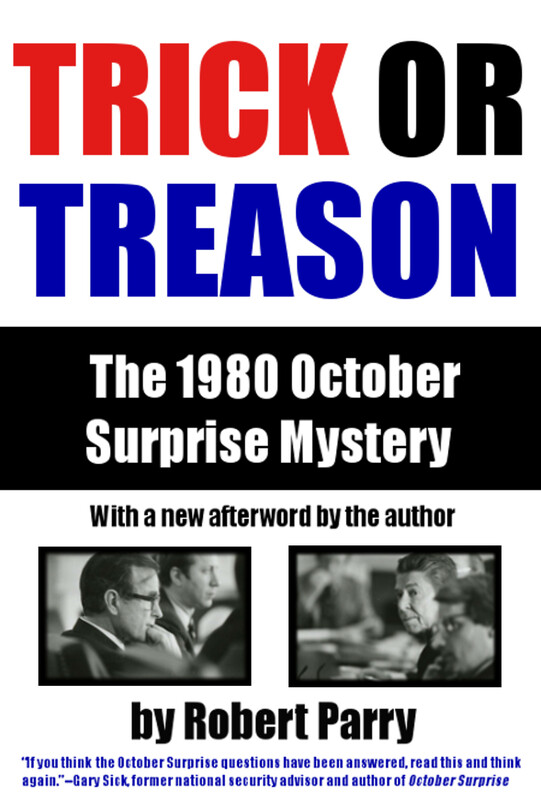 But besides undermining the task force’s October Surprise debunking, the papers clarified President Reagan’s early strategy for a clandestine foreign policy hidden from Congress and the American people. One such document was a two-page “Talking Points” prepared by Secretary of State Alexander Haig for a briefing of President Reagan. Marked “top secret/sensitive,” the paper recounted Haig’s first trip to the Middle East in April 1981. In the report, Haig wrote that he was impressed with “bits of useful intelligence” that he had learned. “Both [Egypt’s Anwar] Sadat and [Saudi Prince] Fahd [explained that] Iran is receiving military spares for U.S. equipment from Israel.” This fact might have been less surprising to President Reagan, whose intermediaries allegedly collaborated with Israeli officials in 1980 to smuggle weapons to Iran behind President Carter’s back. But Haig followed that comment with another stunning assertion: “It was also interesting to confirm that President Carter gave the Iraqis a green light to launch the war against Iran through Fahd.” In other words, according to Haig’s information, Saudi Prince Fahd (later King Fahd) claimed that President Carter, apparently hoping to strengthen the U.S. hand in the Middle East and desperate to pressure Iran over the stalled hostage talks, gave clearance to Saddam’s invasion of Iran. If true, Jimmy Carter, the peacemaker, had encouraged a war. Haig’s written report contained no other details about the “green light,” and Haig declined my request for an interview about the Talking Points. But the paper represented the first documented corroboration of Iran’s long-held belief that the United States backed Iraq’s 1980 invasion. In 1980, President Carter termed Iranian charges of U.S. complicity “patently false.” He mentioned Iraq’s invasion only briefly in his memoirs, in the context of an unexpected mid-September hostage initiative from a Khomeini in-law, Sadeq Tabatabai. The Iraqi invasion did make Iran more desperate to get U.S. spare parts for its air and ground forces. Yet the Carter administration continued to demand that the American hostages be freed before military shipments could resume. But according to House task force documents that I found in the storage room, the Republicans were more accommodating. Secret FBI wiretaps revealed that an Iranian banker, the late Cyrus Hashemi, who supposedly was helping President Carter on the hostage talks, was assisting Republicans with arms shipments to Iran and peculiar money transfers in fall 1980. Hashemi’s older brother, Jamshid, testified that the Iran arms shipments, via Israel, resulted from secret meetings in Madrid between the GOP campaign director, William J. Casey, and a radical Islamic mullah named Mehdi Karrubi. For whatever reasons, on Election Day 1980, President Carter still had failed to free the hostages and Ronald Reagan won in a landslide. Within minutes of President Reagan’s Inauguration on Jan. 20, 1981, the hostages finally were freed. In the following weeks, the new administration put in place discreet channels to Middle East powers, as Haig flew to the region for a round of high-level consultations. The trim silver-haired former four-star general met with Iraq’s chief allies, Saudi Arabia and Egypt, and with Israel, which was continuing to support Iran as a counter-weight to Iraq and the Arab states. After Haig’s return to Washington, his top secret Talking Points fleshed out for President Reagan the actual agreements that were reached at the private sessions in Saudi Arabia, as well as at other meetings in Egypt and Israel. These early contacts with Fahd, Sadat and Begin solidified their three countries as the cornerstones of the administration’s clandestine foreign policy of the 1980s: the Saudis as the moneymen, the Israelis as the middlemen, and the Egyptians as a ready source for Soviet-made equipment. Although President Carter had brokered a historic peace treaty between Egypt and Israel, Sadat, Begin and Fahd had all been alarmed at signs of U.S. weakness, especially Washington’s inability to protect the Shah of Iran from ouster in 1979. Haig’s Talking Points captured that relief at President Carter’s removal from office. Haig reported that Prince Fahd was “also very enthusiastic” about President Reagan’s foreign policy. Fahd had agreed “in principle to fund arms sales to the Pakistanis and other states in the region,” Haig wrote. The Saudi leader was promising, too, to help the U.S. economy by committing his oil-rich nation to a position of “no drop in production” of petroleum. In the following years, the Reagan administration would exploit the “special status” with all three countries to skirt Constitutional restrictions on Executive war-making powers. Secretly, the administration would tilt back and forth in the Iran-Iraq war, between aiding the Iranians with missiles and spare parts and helping the Iraqis with intelligence and indirect military shipments. According to a sworn affidavit by former Reagan national security staffer Howard Teicher, the administration enlisted the Egyptians in a secret “Bear Spares” program that gave the United States access to Soviet-designed military equipment. Teicher asserted that the Reagan administration funneled some of those weapons to Iraq and also arranged other shipments of devastating cluster bombs that Saddam’s air force dropped on Iranians troops. In 1984, facing congressional rejection of continued CIA funding of the Nicaraguan Contra rebels, President Reagan exploited the “special status” again. He tapped into the Saudi slush funds for money to support the Nicaraguan Contra rebels in their war in Central America. The President also authorized secret weapons shipments to Iran in another arms-for-hostages scheme, with the profits going to “off-the-shelf” intelligence operations. That gambit, like the others, was protected by walls of “deniability” and outright lies. Some of those lies collapsed in the Iran-Contra scandal, but the administration quickly constructed new stonewalls that were never breached. Republicans fiercely defended the secrets and Democrats lacked the nerve to fight for the truth. The Washington media also lost interest because the scandals were complex and official sources steered the press in other directions. But sometimes the game-playing did have unintended consequences. In 1990, a decade after Iraq’s messy invasion of Iran, an embittered Saddam Hussein was looking for pay-back from the sheikhdoms that he felt had egged him into war. Saddam was especially furious with Kuwait for slant drilling into Iraq’s oil fields and refusing to extend more credit. Again, Saddam was looking for a signal from the U.S. president, this time George H.W. Bush. When Saddam explained his confrontation with Kuwait to U.S. Ambassador April Glaspie, he received an ambiguous reply, a reaction he apparently perceived as another “green light.” Eight days later, Saddam unleashed his army into Kuwait, an invasion that required 500,000 U.S. troops and thousands more dead to reverse.